When you picture your family, what goals do you have in mind to grow and develop together? Bonding through fun, engaging, shared activities? Learning important life lessons together? Enjoying a little friendly competition? At Folsom Academy - Family Taekwondo, we're to help you turn your dreams into reality. 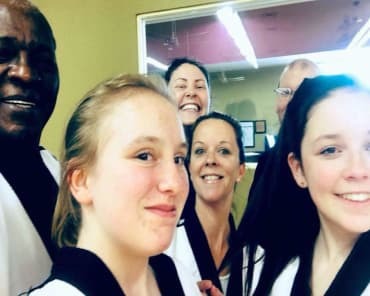 Our Family Martial Arts classes are the perfect blend between traditional self-defense training and total fitness regimen, with loads of fun to be had and memories to be made be made along the way! 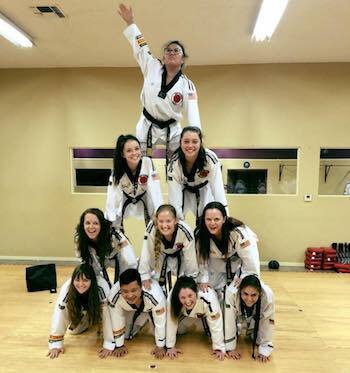 Why Is Our Family Martial Arts Program Right For You? We know we've got a lot of competition. Not only from other Martial Arts studios, but also from other activities that will tug you and your family toward them. We want you to know that, for starters, we care. We care about your family and want you to have the ability to learn new skills and challenge yourself. That's why our Family Martial Arts classes include professional instruction with a hands-on approach and an individualized path where you can focus on what matters to you most. Don't let your health be a chore. 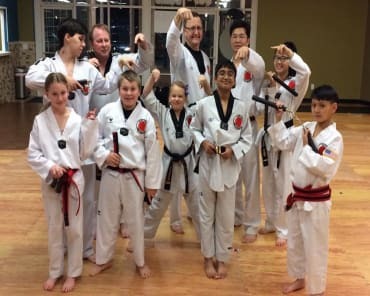 Enjoy exercise again with our Family Martial Arts program, where you'll reap the benefits of a dynamic routine with high-energy instruction, all in a safe, supportive, and ego-free environment. Change the way you approach fitness and take on a workout that you actually enjoy with our Family Martial Arts classes right here in Folsom. We are proud to help people of all ages all across our community find success - and we can't wait for you to be next!